While I was in Madagascar in June and July, I got to see many beautiful baobab trees. Madagascar has seven different species of baobabs, compared to just one in Africa. One thing in common among all these species, including the African variety, is that the fruit is edible. It’s an odd fruit unlike anything you would find in your local supermarket’s produce section. The brown pod that can be several inches long and round, oblong or kidney-bean shaped. Its outer shell is tough and covered in fine, short hairs that give it a velvety feel—or maybe a five-o’clock shadow feel, depending which way you rub your fingers. And the fruit inside may be even more unusual, because it’s not juicy at all. It’s pulpy and mealy, with a tanginess reminiscent of tamarind paste or cranberries. I first learned about baobab fruits in Tanzania, where our guide told us how he used to snack on them as a kid. Many rural parents encourage this because baobab fruit is high in minerals, such as calcium, magnesium, and potassium. Gram for gram, it has three times as much calcium as milk. It’s also loaded with vitamin C and 15 times the antioxidants of goji berries. But I didn’t have a chance to try baobab fruits then. We never got close to a baobab tree to check the ground for fallen fruit, and none of the places we stayed had baobab on the menu. In Madagascar, deforestation is a big problem, as most of the population are subsistence farmers who depend on slash-and-burn agricultural practices to grow rice and other crops. Some groups are working to fight deforestation by finding sources of income within the forest. Tourism is an obvious one, but so is the sustainable harvesting of forest products, such as baobab fruits and wild silkworm cocoons. Because of baobab fruit’s unique texture, it can be ground into a flour when dried—something that’s difficult to do with most conventionally dried fruits. I bought a package of this flour from Renala Naturals while staying near Andasibe-Mantadia National Park. The package came with several recipes, all in French. (Madagascar is a former colony of France, and French is still one of the national languages.) My French is limited to what I’ve learned from Duolingo, so a couple of the recipes are indecipherable to me (what is “env 6 c/s,” s’il vous plait?). But the recipe for Muffin Baobab Courgettes (Muffins of Baobab and Courgettes, aka Zucchini) was pretty straightforward, even if it called for yeast as leavening instead of my usual baking powder. So today I made a batch of muffins based on the Muffin Baobab Courgettes, adapted for my American kitchen. The main changes were specifying proofing times for the dough and adding strawberries to complement the baobab fruit’s tartness. I was worried they would be heavy, but the texture is light and moist with no doughiness. And the taste is a delight. 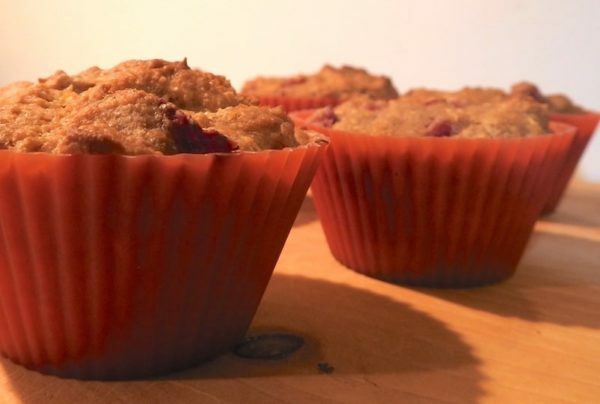 The baobab fruit gives the muffins a real zip, with a tartness that lingers on the tongue for several minutes after you finish eating—just like what happens when you eat a sour candy. 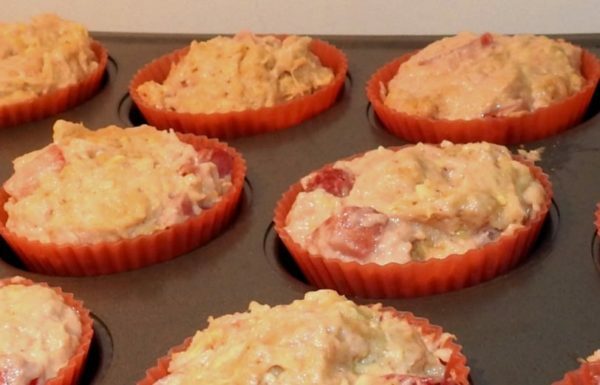 If you like grapefruit, dried cranberries, or Sweet-Tarts, you’ll want to try these muffins. If you’re not as crazy about tart things, you may wish to offset the tang by doubling or tripling the sugar. That should give you a sweet-sour balance more akin to lemon cake’s. Oh, and for those wondering how you can possibly make this recipe if you’ve never been to Madagascar, never fear. Baobab fruit powder available in fancy supermarkets, at health food stores, and on Amazon. Baobab fruit gives these muffins a real zip. 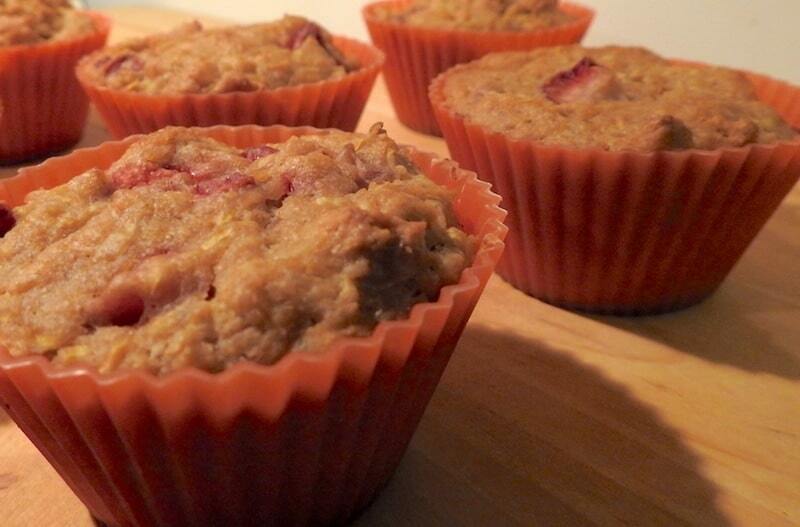 If you like grapefruit, dried cranberries, or Sweet-Tarts, you'll want to try these muffins. In a small bowl, beat together the eggs, oil, sugar, and pinch of nutmeg. In a large bowl, mix the baobab powder, flour, yeast, and salt. Add the oil mixture to the flour mixture and mix until dry ingredients are wetted. Beat in the grated zucchini, then the strawberries. Dough will be very wet, like a thick batter. Let the mix rise in a warm place until dough has risen slightly, 1-3 hours (longer if you use sugar substitute). Let rise again for about 30 minutes, until dough has risen slightly over the top of the muffin cups. Bake at 350ºF for about 30-35 minutes. Nah, I wrote the "if you please." The part in the quotation marks is what was on the package.